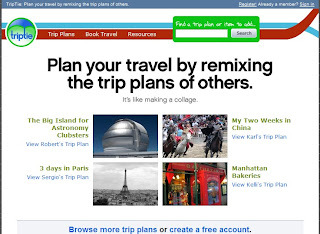 Triptie is an online travel community that allows people plan trip with other. You can make a trip plan, other people who are interesting that can join you, you guys can remix your plan, or they give you some useful suggestions. You can write your trip blog, and detail about trip line, how much you spent day by day. Sounds so cool.